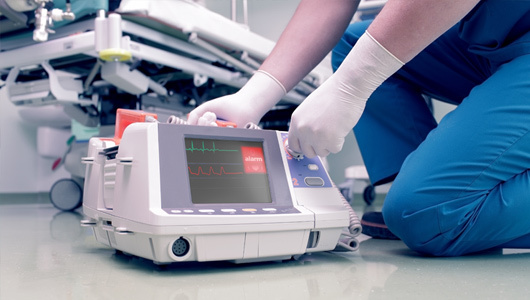 Repair and maintain your medical equipment without breaking your budget. Our qualified service technicians use the same expertise and precision to handle your medical equipment repairs on site in a timely manner. At Auxo Medical, we refurbish our medical equipment to meet the original manufacturer’s standards. Thanks to our exacting precision, we typically provide the same warranty as that of the OEM. One-time service or ongoing medical equipment maintenance agreements are available. Auxo Medical service technicians consistently travel with the most of the parts they’ll need for service calls. Repairs and equipment maintenance are completed as quickly and thoroughly as possible. We maintain a comprehensive inventory of parts for all equipment that we work with — typically at a discount to typical OEM pricing. We keep accurate records of your equipment and all work completed readily accessible online. Plus, Auxo Medical can also help you upgrade the equipment you currently have. We can upgrade or refurbish your current equipment onsite or remove and replace older equipment for a fraction of the cost of buying a brand new piece of equipment. Contact Auxo Medical for any medical equipment repairs, parts, or maintenance needs you may have.